Alissa Hamilton has never had a milk mustache. And she says, contrary to popular belief, you don’t need one to maintain strong bones and good health. In a new book sure to churn up controversy, the Toronto author has taken on “the sacred cow that is dairy,” arguing that milk is not an essential source of calcium, Vitamin D and other nutrients critical to health. She challenges the “health halo” that has long surrounded the food group as a key part of a balanced diet, and says calcium is more easily absorbed by the bones and body when people eat calcium-rich plants. Hamilton also explores how the shift to low-fat dairy means Canadians are now consuming greater amounts of highly processed milk and yogurt that contain more sugar and starch, and questionable nutritional value. “Our relationship with milk, which is based on false notions of its goodness, is not a healthy one,” she writes in http://www.harpercollins.ca/9780062362056/got-milkedGot Milked? : What You Don’t Know About Dairy, The Truth About Calcium, and Why You’ll Thrive Without Milk,released this week. Hamilton, 42, has a PhD in environmental studies from Yale University. Six years ago in http://www.thestar.com/life/health_wellness/nutrition/2009/05/20/whats_wrong_with_orange_juice.htmlSqueezedEND , she unpeeled layers of misconception surrounding the orange juice industry, revealing that the morning “glass of sunshine” is not as pure as most people think. Now, she has delved into the nutritional research, industrial production techniques and mass marketing of milk to challenge its role as a North American staple. “The dairy industry can’t argue that milk is essential for bone health and general wellness; it’s clear that is not the case,” Hamilton said last week in an interview at a Kensington Market coffee shop, where she ordered hot water mixed with unsweetened cocoa powder. She cites such vegetables as broccoli, kale and bok choy, as well as chia seeds, almonds and dried ground basil as alternative sources that provide those nutrients in a form more easily absorbed. Hamilton has never been much of a dairy eater, other than unsweetened yogurt or the odd glass of raw milk as a child. But she consumes platefuls of calcium-rich plants. And the former competitive tennis player and cross-country runner often manages to do 1,000 push-ups a day. She decided to delve into dairy after a close friend confessed to being plagued with milk guilt because she hadn’t fed any to her 2-year-old. Hamilton concluded it makes no sense that the dairy food group — one of four groups in nutrition guidelines such as the Canada Food Guide — is the only one based almost entirely on a single food: cow’s milk. (It also includes fortified soy as an alternative). Also outdated is the notion that Canadians should get all their calcium from that group, she says. Instead, Hamilton calls for moving dairy products that are high in protein and low in added sugar into the protein (meat and alternatives) group. If consumers weaned themselves off what she calls “the crutch” of dairy and paid more attention to calcium-laden vegetables, it would boost overall health and reduce obesity, she says. Especially because two-thirds of the world’s population have a reduced tolerance for lactose once they past infancy, making allergies and digestive problems common. She notes two cups of broccoli provides as much calcium as a serving of milk. So do two tablespoons of dried ground basil mixed into a plate of food. 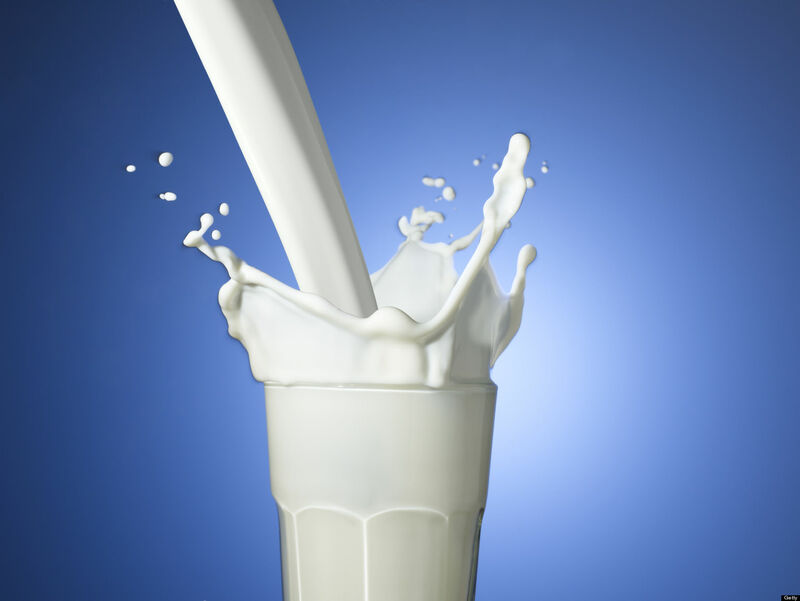 Nutrition and food science researchers agree that attentive eaters can get their required calcium from non-dairy foods. “But dairy is a very convenient, easily accessible source of calcium,” says Nick Bellissimo, an assistant professor at Ryerson University’s school of nutrition, who has not read Hamilton’s book. Many children are currently falling short of recommendations — two servings a day for those ages 2 through 8 and three to four servings per day for ages 9 through 18 — says Bellissimo, who has done some research for the dairy industry. Overwhelming evidence links dairy consumption to higher bone mass and healthier body weight, he adds. Hamilton’s message to consume more vegetables and fruit is a good one, says Douglas Goff, a professor with the department of food sciences at the University of Guelph. But the idea of eating them instead of milk “is to me, the wrong approach.” It should be in addition to dairy, “not at the expense of it,” adds Goff, who currently has funding from Canadian dairy farmers for research and has not read Got Milked? He notes that the focus on low-fat products including dairy over the past couple of decades has not improved overall health or obesity levels, a phenomenon that Hamilton writes about. When dairy fat is removed, the resulting skim milk or low-fat yogurts become less palatable, especially to kids. “So what do they do, they fill it with sugar and chocolate,” says Hamilton, resulting in products that are comparable to soft drinks, highly-processed and need to be re-fortified with vitamins that get lost in the process. People would be much better drinking a glass of whole milk or a serving of full-fat plain yogurt than chocolate 1 per cent, or yogurt that tastes like strawberry cheesecake. The book also makes the case that recommended dairy intake is too high in North America, a notion that has been gaining ground over the years and raised by leading medical researchers. And it explores the prevailing belief linking higher dairy consumption to and increased bone density, citing the “calcium paradox” that emerges in worldwide studies that have found countries with the higher dairy consumption also have higher rates of hip fractures. Hamilton says her goal isn’t to demonize milk, but to bring some balance to the messages about dairy products and get consumers thinking twice and considering non-animal alternatives. Clarification – April 24, 2015: This article was edited from a previous version to include that Douglas Goff, a professor with the department of food sciences at the University of Guelph, currently has research funding from Canadian dairy farmers.